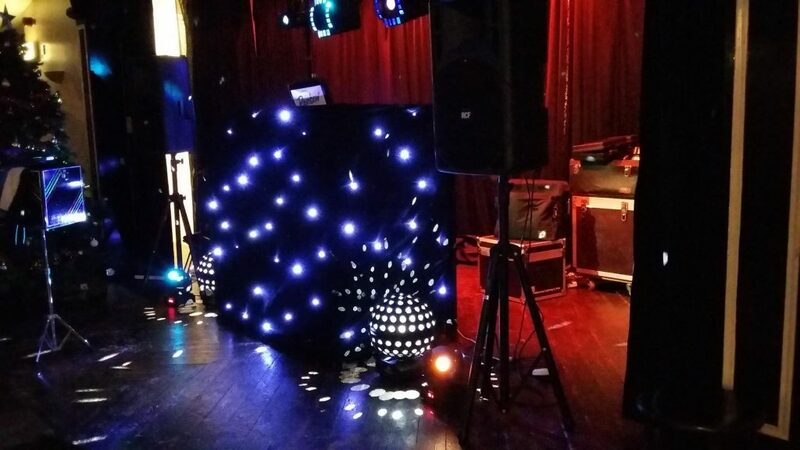 Providing DJ services to Grimsby, Scunthorpe, Hull and surrounding areas, the Mike Taylor Entertainment team always provide a high quality service at competitive prices. Our services include mobile DJ hire suitable for private and corporate events, specialist wedding reception discos, toastmaster services, PA, smartphone pub quizzes, race nights, children’s magic shows, Punch & Judy and much more! Mike began his DJ career in 1975, he used to help a friend who was a DJ himself and then hired some equipment from a local DJ company to DJ at a friend’s birthday party. He was then asked by a local DJ supply company, Roadrunner Discotheques, to work for them. His first paid “gig” was at the Cleethorpes Carnival Parade night at the Winter Gardens Cleethorpes in August 1975. Mike, thanks for hosting our Race Night. Once again the night ran smoothly, the organisation was top notch despite the limited space available. Everyone present seemed to have a great night and plenty spent loads of cash. Look forward to seeing you again soon. He then worked mobile and residential work in Lincolnshire and was the Saturday evening resident DJ at “Bunny’s” nightclub in Cleethorpes until 1979. In 1979 Mike won the Coveted DJ of the year award at Annabellas and then worked at The Porterhouse in Retford, Nottinghamshire. The next step took him to Rock City in Nottingham. He then returned to his Lincolnshire roots and started Rainbow Discotheques, a mobile DJ supplier to venues throughout Lincolnshire and Humberside. Mike also did some Roadshow work for Viking FM, and spent 4 years as lead presenter of Fresh FM interactive radio, being coaxed by Bruno Brookes’ Radio School. Mike’s prominence within the industry grew and he wanted to improve the standing of the art of the mobile DJ and formed a publishing company which produced the nationally acclaimed “Mobile DJ” magazine. Mike won 3 national awards and was presenter/compere at established venues such as Earls Court and NEC. Mike was resident DJ at the Beacholme in Cleethorpes for many years, and worked alongside acts such as The Commitments, Joe Pasquale, Gerry & The Pacemakers, The Bachelors, Sean Maguire, to name a few. Mike also performed at the opening weekend of The Grimsby Auditorium, supporting Whigfield, Ultimate Khaos and the late Edwin Starr, who Mike became a great friend of. Mike also spent 6 years as Compere/PA at Grimsby Town FC and was presenter of the 2005/6 Coca Cola Football League Division 2 play-off at The Millenium Stadium, Cardiff. Mike has nurtured many up and coming DJs throughout his career and still prides himself in offering the highest standard of professionalism, using the very best equipment available which is reliable, and produces the highest quality sound and light effect – Mike’s ethos throughout. Mike has also presented many promotional events, working for Renault, BMW, Currys/PC World, Burtons Menswear, Boots, McDonalds, Freshney Place Shopping Centre, all amongst previously satisfied Clients. Attention to detail, listening to the clients needs and working with people has meant Mike produces the very highest quality performance of which he is very proud.